As the process of handling involves more steps and becomes increasingly manualized, production costs increase. Storing products instead of receiving and immediately shipping them also, adds cost to the overall process. Customers must determine when lost sales due to inventory are balanced by increased handling and storage costs. Conversely, automating the additional manual steps will reduce the labor and costs associated with these processes. All distribution centers (DCs) have three main areas: the receiving dock, the storage area, and the shipping dock. In small organizations it is possible for the receiving and shipping functions to occur side-by-side. In large centers, separating these areas simplifies the process. The demand for faster production has been created by the customer expectation. No longer is a consumer willing to order a product on Monday and receive it on Friday. Two-day shipping is now considered “slow” with many Amazon Prime customers insisting that any order in the morning should be at their doorstep by that afternoon. Geographic distance from DC to the end user’s home must be close. Being of equal importance, the distribution center planning must maximize its efficiency. If the distribution center relies on a conveyor system suspended from the ceiling consideration needs to be given to the weight-bearing capacity of the ceiling joists. If the conveyor system runs along the floor, then consideration needs to be given in the design stage to the placement of columns (particularly as they relate to the floor space between pallet rack frames). Other planning considerations include attention to all areas of distribution such as slotting, product replenishment, storage media, and power requirements. In the e-commerce distribution center, the reduction of walk-time by a picker is in direct relation to the increasing need for fast production. The 80/20 rule applies. Twenty percent of the SKUs are 80 percent of the products picked, packed, and shipped out the DC. Topper Industrial works with the demand for faster production of product in and out of the DC. Topper offers cart delivery processes that enable the workers’ ability to accurately pick product. Instead of fork trucks driving back and forth creating less productive work flow, Topper carts deliver products to the line workers in a train allowing for instantaneous load and unload at specific line positions. Because of this, production rates increase when using a fork truck free distribution center environment. The configuration of an existing distribution center’s layout needs not be a constraint to lean efficiency capabilities in warehouses. Topper Industrial works with DCs to implement cart delivery systems that benefit an ongoing transition to a leaner facility. This is accomplished by designing the specific material handling equipment needed for leaner material movement. The equipment Topper designs and manufacturers compliments a company’s practices to improve material flow. When implementing cart delivery, a facility’s physical layout becomes a starting point in changeability, not a constraint. Lean practices are used to remove waste and inefficiencies from various processes to increase productivity and promote simplification line side. Cart delivery within these processes is often implemented as an alternative to mainstream product delivery and drop off. When transitioning to cart delivery through continued lean processes, thorough data must be collected and analyzed regarding material demand, costs, productivity, and current customer satisfaction in delivery times. Lean practices are often associated with manufacturing, but lean principles are completely applicable to distribution centers as well. Considering that logistics costs are increasing by ten percent YOY (year over year), using the fundamentals of lean combined saves millions of dollars in operating costs, immediately impacting bottom line profitability in DCs. While warehouse line workers attempt to make sure products flow efficiently in and out of the DCs, some warehouse operations are more productive than others. Each DC and specifically each type of product has its own opportunities and flaws. Each DC must be examined for what is being distributed, when, where, how and even how often. What are the best goals of the particular DC? There is not one perfect warehouse layout design for every DC; each is unique. Topper Industrial has found that by engaging with lean experts to work with the facility’s supply and material movement leaders to assess a warehouse layout, flow and emerging equipment needs, there are possible solutions for what is working and is not working. Cart delivery can be very flexible and thus, very beneficial in creating a new material flow within an existing, unchangeable DC layout. Cart delivery can also be used to its fullest potential when creating a new DC from the ground up. In both cases, cart delivery is designed with problematic situations in mind. For instance, if problems arise such as tight aisles or narrow corners, Topper Industrial’s design team can create solutions to those problems. 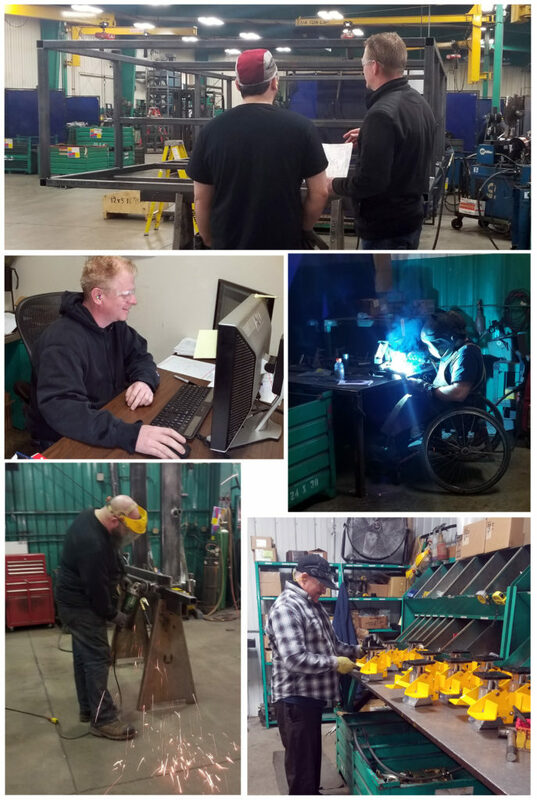 Whether the solution is needing a specific type of cart steering or to the overall dimensions of the cart’s frame work, Topper’s team with more than 40 years combined of designing custom cart solutions can help out. Topper Industrial works with DCs to make the part pick path as short as possible using cart delivery and tube and joint structures. By delivering the fastest moving (highest velocity) items closest to the packing station, additional productivity within an existing warehouse design can define and quantify the lean objective of eliminating waste. Reducing pick time can easily address many metrics toward a lean path in a distribution center. Flow racks are easy to implement and have immediate positive financial, efficiency, and safety impacts. Products delivered by Topper carts to Topper flow racks are as lean as it gets. The costs of handling product can increase quickly when distribution centers use large sortation systems with miles of conveyor to move products through the facility and into a truck. When the product lines change due to variable product mix, 3PLs (Third Party Logistics) with a variety of products received, picked, and shipped, the requirement of flexibility is not an option. Some of the most sophisticated systems can automatically convey product directly into storage racks, flow racks, or mother-daughter carts that can be mixed and matched to deliver the variable and everchanging product. The variability of product lines also requires different degrees of manual handling. Orders processed at most DCs in North America are now smaller in volume, but more frequent. This is to meet the demands of customers while reducing the back-stock inventory. Customer requirements for product configurations, variety, and non-stop changes in demand have changed the standards that old DCs were able to get away with. Topper is well-respected as the Fork Truck Free Cart Delivery leader and is a conduit to supply chain solution implementation. Because Topper promotes and believes in the Lean Manufacturing approach to business, the company designs and manufactures equipment that creates solutions that improves material flow. Lean experts, as well as DC executives and line product staff work to create a culture of managing daily improvements. The result ensures a more efficient distribution and operations process. 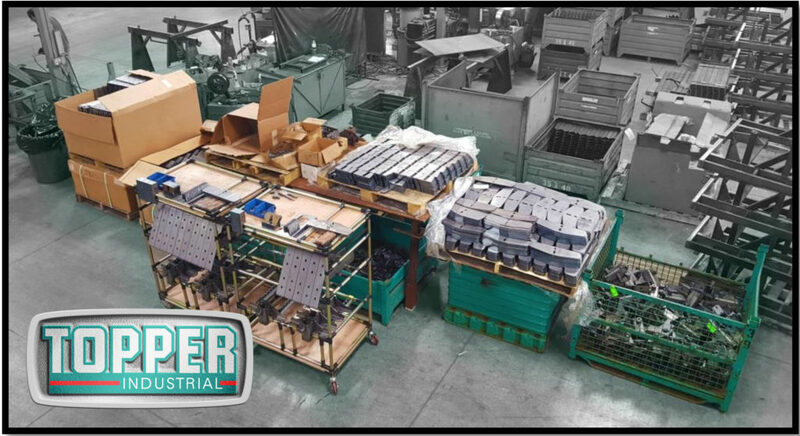 For decades Topper Industrial has delivered long-term customer value and business performance adding value through the material handling equipment designed and implemented. Topper Industrial creates material handling solutions with the equipment made. Each piece of equipment has a purpose. When lean processes seek out problematic practices, Topper Industrial creates and designs improvements and solutions to make the day to day work easier, more functional and flexible. Cart delivery can be adjusted, it can be interchangeable, and it can be used and re-used in a lot of different applications. Topper is proud of the innovation and flexibility cart delivery brings to DCs. Previous post Topper Industrial Defines Fork Truck Free and Shares Examples of Cart Types Used in Cart Delivery.